Take a break from Adelaide with a short trip to The Cedars in Hahndorf, about 30 minutes away. Dedicate the 1st (Sun) to wine at some of the top wineries in the area. The adventure continues: admire the natural beauty at Adelaide Botanic Garden, learn about wildlife with up-close encounters at Adelaide Zoo, contemplate the long history of Adelaide Oval, and explore the world behind art at Art Gallery of South Australia. To find ratings, photos, and other tourist information, read Adelaide route planner . Melbourne to Adelaide is an approximately 3.5-hour flight. You can also drive; or take a train. Expect a daytime high around 18°C in August, and nighttime lows around 8°C. 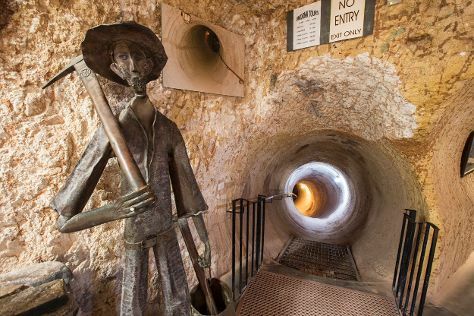 Cap off your sightseeing on the 4th (Wed) early enough to travel to Coober Pedy. 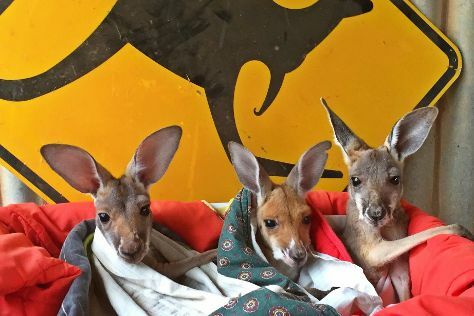 Start off your visit on the 5th (Thu): look for all kinds of wild species at Josephine's Gallery & Kangaroo Orphanage, then admire the striking features of Faye's Underground Home, then see the interesting displays at Old Timers Mine, and finally get engrossed in the history at Umoona Opal Mine & Museum. On your second day here, look for gifts at Seven Stones Designer Jewellers, explore and take pictures at Tom's Working Opal Mine, and then pause for some serene contemplation at Serbian Orthodox Church. To find maps, where to stay, more things to do, and other tourist information, use the Coober Pedy day trip planning site . Traveling by flight from Adelaide to Coober Pedy takes 4 hours. Alternatively, you can drive; or take a bus. When traveling from Adelaide in September, plan for a bit warmer days in Coober Pedy, with highs around 28°C, while nights are about the same with lows around 12°C. Finish your sightseeing early on the 6th (Fri) so you can drive to Uluru-Kata Tjuta National Park. Uluru-Kata Tjuta National Park is known for nature, museums, outdoors, trails, and classes. Your plan includes some of its best attractions: explore the striking landscape at Uluru, hike along Uluru Hiking Path, make a trip to Uluru, and look for all kinds of wild species at Kuniya Walk. To find more things to do, where to stay, ratings, and other tourist information, you can read our Uluru-Kata Tjuta National Park trip planning website . You can drive from Coober Pedy to Uluru-Kata Tjuta National Park in 8 hours. Alternatively, you can fly. When traveling from Coober Pedy in September, plan for somewhat warmer days and about the same nights in Uluru-Kata Tjuta National Park: temperatures range from 33°C by day to 12°C at night. 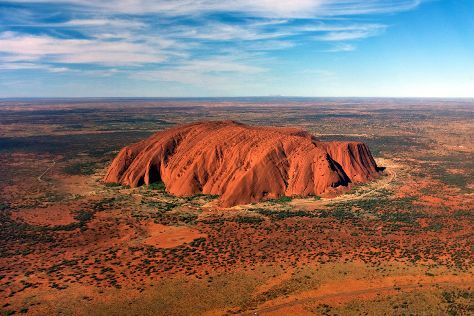 Wrap up your sightseeing on the 10th (Tue) early enough to travel to Alice Springs. Alice Springs is known for wildlife, museums, historic sites, nature, and parks. Your plan includes some of its best attractions: get the lay of the land with Walking tours, look for all kinds of wild species at The Kangaroo Sanctuary, get outside with Ellery Creek Big Hole, and explore the engaging exhibits at Megafauna Central - Museum and Art Gallery of NT. For maps, ratings, other places to visit, and other tourist information, read our Alice Springs trip itinerary maker app . Getting from Uluru-Kata Tjuta National Park to Alice Springs by combination of flight and taxi takes about 2 hours. Other options: drive. In September, daytime highs in Alice Springs are 32°C, while nighttime lows are 11°C. Wrap up your sightseeing on the 13th (Fri) early enough to travel to Tennant Creek. Tennant Creek is a town located in the Northern Territory of Australia. Start off your visit on the 14th (Sat): admire all the interesting features of Kelly's Ranch and then take an in-depth tour of Battery Hill Mining Centre. To find traveler tips, reviews, photos, and tourist information, refer to the Tennant Creek tour itinerary planner . Traveling by car from Alice Springs to Tennant Creek takes 5.5 hours. Alternatively, you can fly. Prepare for somewhat warmer weather when traveling from Alice Springs in September: high temperatures in Tennant Creek hover around 38°C and lows are around 21°C. Finish your sightseeing early on the 14th (Sat) to allow enough time to travel to Katherine. Katherine is a town in Northern Territory, Australia. Spend the 17th (Tue) exploring nature at Nitmiluk National Park. There's lots more to do: wander the wide-open spaces of Katherine Outback Experience, take in the natural beauty of Katherine Hot Springs, view the masterpieces at MiMi Aboriginal Art & Craft, and explore the striking landscape at Katherine Gorge. Make your Katherine itinerary with Inspirock to find out what to see and where to go. Traveling by car from Tennant Creek to Katherine takes 8 hours. Alternatively, you can fly. While traveling from Tennant Creek, expect somewhat warmer days and about the same nights in Katherine, ranging from highs of 42°C to lows of 22°C. Wrap up your sightseeing on the 17th (Tue) to allow time to drive to Darwin. Change things up with a short trip to Litchfield National Park in Batchelor (about 1h 20 min away). Spend the 18th (Wed) wandering through the wild on a nature and wildlife tour. 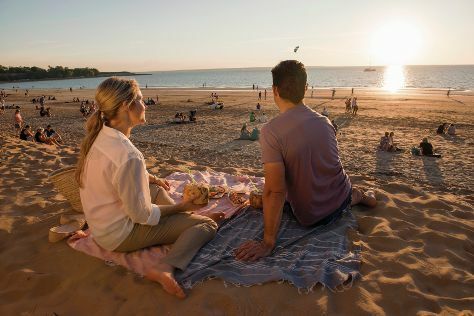 There's lots more to do: kick back and relax at Mindil Beach, cool off at Wave Lagoon, see the interesting displays at Defence of Darwin Experience, and take an in-depth tour of RFDS Darwin Tourist Facility. To find maps, more things to do, other places to visit, and tourist information, go to the Darwin trip planner . Getting from Katherine to Darwin by car takes about 3.5 hours. Other options: take a bus; or fly. Traveling from Katherine in September, expect nights in Darwin to be about the same, around 26°C, while days are little chillier, around 38°C. Wrap up your sightseeing on the 21st (Sat) to allow time to travel to Kununurra. Start off your visit on the 22nd (Sun): explore the wealth of natural beauty at Mirima National Park. Get ready for a full day of sightseeing on the next day: explore the striking landscape of El Questro Wilderness Park, then contemplate the waterfront views at Ord River, and then explore and take pictures at ZEBRA ROCK MINE GALLERY & CAMPGROUND. For more things to do, reviews, where to stay, and more tourist information, read our Kununurra trip builder tool . Getting from Darwin to Kununurra by flight takes about 4 hours. Other options: drive; or take a bus. Due to the time zone difference, you'll gain 1 hour traveling from Darwin to Kununurra. Traveling from Darwin in September, expect nights in Kununurra to be a bit cooler, around 20°C, while days are somewhat warmer, around 43°C. On the 24th (Tue), you'll travel to Broome. Spend the 26th (Thu) wandering through the wild on a nature and wildlife tour. There's still lots to do: stroll through Cable Beach, stroll the grounds of Japanese Cemetery, identify plant and animal life at Malcolm Douglas Crocodile Park and Animal Refuge, and explore the striking landscape at Gantheaume Point. To see where to stay, traveler tips, more things to do, and tourist information, read our Broome travel planner. Fly from Kununurra to Broome in 1.5 hours. Alternatively, you can drive; or take a bus. Traveling from Kununurra in September, expect nights in Broome to be about the same, around 21°C, while days are slightly colder, around 38°C. Wrap up your sightseeing on the 27th (Fri) early enough to travel to Perth. Explore Perth's surroundings by going to Fremantle (Fremantle Prison & The Shipwreck Galleries) and Caversham Wildlife Park (in Whiteman). Dedicate the 1st (Tue) to wine at some of the top wineries in the area. 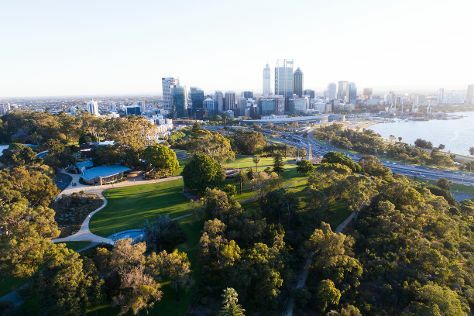 There's much more to do: stroll around Kings Park & Botanic Garden, contemplate the waterfront views at Swan River, steep yourself in history at The Perth Mint, and snap pictures at Elizabeth Quay. To find reviews, ratings, other places to visit, and more tourist information, go to the Perth driving holiday planner . You can fly from Broome to Perth in 4.5 hours. Alternatively, you can drive; or take a bus. Traveling from Broome in September, expect nights in Perth to be a bit cooler, around 9°C, while days are colder, around 24°C. Wrap up your sightseeing on the 3rd (Thu) early enough to travel back home.